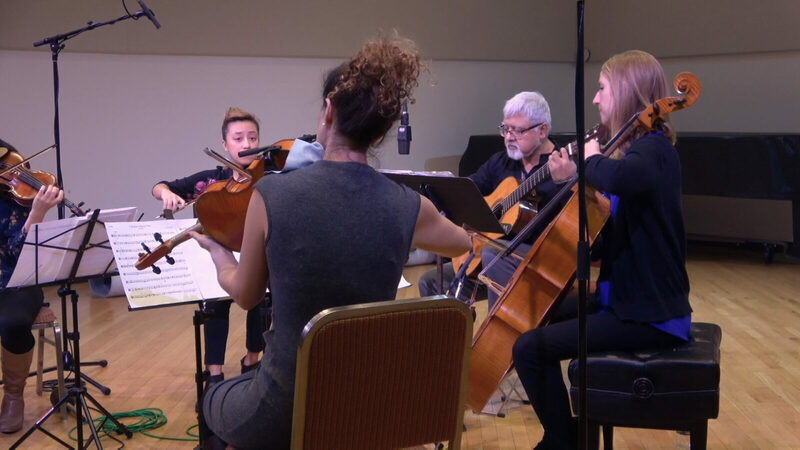 WFMT welcomed guitarist Fareed Haque and the KAIA String Quartet for an Impromptu. To kick off the program, the ensemble shared “I Know a Rose Tree Springing” (“Es ist ein Ros entsprungen”), a traditional Christmas carol. This performance was the premiere of an arrangement by Haque after the popular, early 17th century setting by Michael Praetorius.